Kolkata Knight Riders (KKR) will play Delhi Capitals (DC) in the match no 26 of VIVO Indian Premier League (IPL), 2019. The match will take place at Eden Gardens, Kolkata which is KKR home ground. Ahead of KKR vs DC, Delhi team advisor Sourav Ganguly has a special message for fans. IPL 2019 Today's Cricket Match Schedule, Start Time, Points Table, Live Streaming, Live Score of April 12 T20 Game and Highlights of Previous Match! 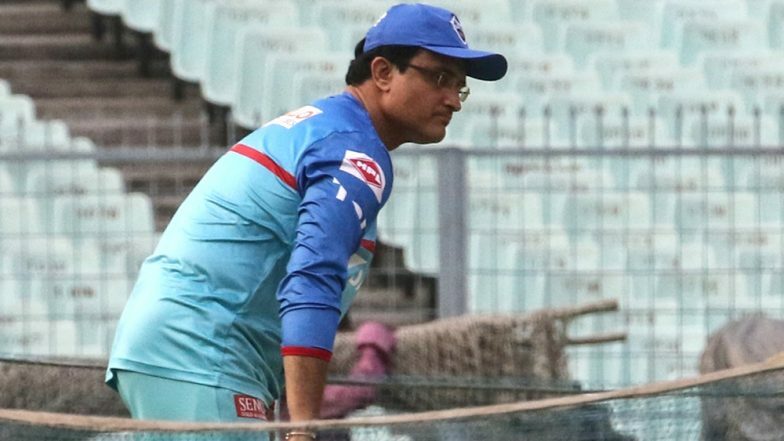 The former Indian skipper Sourav Ganguly role in IPL 2019 is to work closely with head coach Ricky Ponting. The left-handed batsman Ganguly has played 113 test and 311 ODIs for Indian Cricket team. The Prince of Calcutta is also the president of the Cricket Association of Bengal. Ganguly urges DC fans in Kolkata to come and support their team at Eden Garden.RR vs CSK Highlights IPL 2019: MS Dhoni, Mitchell Santer Shine as Chennai Super Kings Beat Rajasthan Royals. Delhi Capitals defeated Kolkata Knight Riders last time when they faced them in the match no 10 of IPL 2019 at Feroz Shah Kotla Stadium. We saw a super over in that match as DC was able to manage a tie in their chase of 185 runs. DC pacer Kagiso Rabada bowled a crucial decider over while defending 11 runs in the super over, the South African dismissed KKR batsman Andre Russell to help his side win the game by 3 runs in the super over. Also DC batsman Prithvi Shaw missed on his hundred against KKR last time, as he was dismissed on 99 runs by Lockie Ferguson.